Disclosure: Disclosure: I received a complimentary copy of this book through LitFuse Publicity, in exchange for an honest review. The opinions stated below are entirely my own. Each year I plan to read a ton of books because it is one of my favorite things to do. There is nothing more inviting to me than an overly soft blanket, a hot cup of coffee and a good book. For some reason my "me" time always gets cuts short, and therefore, so does my reading time. I am happy that I have been actively making sure I make more time to read, and I have been very fortunate that some of my first reads of the new year have been truly fantastic! The first book I have finished in 2016 is Mermaid Moon by Colleen Coble. Mermaid Moon is a book about a woman named Mallory Davis who is told by her dying father to find her mother. Considering her mother had died fifteen years earlier, this seems to be a bit of a mystery. In an attempt to figure out what truly happened regarding her father's death, and what he meant by his final words to her, she goes back to the town she ran away from as a young adult, Mermaid Point. While there, she is forced to face, head on, the exact thing, and person, that she ran away from years and years ago: Kevin O'Connor, her high school love, and the game warden. While delving into the mystery of her father's death, she is faced with many challenges including the reality of what happened, and the terrifying realization that someone is after her and information she isn't even sure she has. In the midst of all of this, she has to work closely with her past love, Kevin O'Connor, which brings up their unsettled past and emotions. 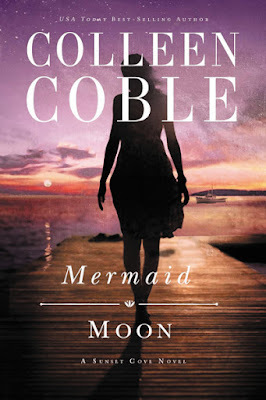 With a little bit of clean romance and a mystery to solve, Mermaid Moon is the second book in the Sunset Cove series by Colleen Coble. This was my first time reading a Colleen Coble novel, and I really enjoyed it. While I felt it took a little bit of time to get in to the "action" part of it, it read so easily that I wanted to keep reading. The characters were interesting and easily relate-able. Once it picked up, I had to continue reading to see what was going to happen. There were a few different things going on throughout the book, including Mallory and Kevin trying to solve the mystery of her father's death, uncovering the truth about her past, and also resolving circumstance between them that stemmed from their choppy past, all while avoiding constant threat from the villains in the novel. I have to say, this book kept me guessing from the get-go. This was one mystery I could not figure out on my own before the reveal in the book. While this is the second book in the Sunset Cove series, it can certainly be read on it's own (as I did),, however, now I have found myself wanting to read the first book in the series, and more! 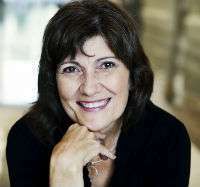 To learn more about Colleen Coble, you can explore her website, or visit her on Facebook, Twitter and Pinterest.